1 Alexei Navalny, Russian opposition leader and anti-corruption blogger, and his wife Yulia comfort Alexei's brother and co-defendant Oleg and his wife Victoria after hearing the court verdict in Moscow, Dec. 30, 2014. 2 Russian opposition leader and anti-corruption blogger Alexei Navalny and his brother and co-defendant Oleg attend a court hearing in Moscow, Dec. 30, 2014. 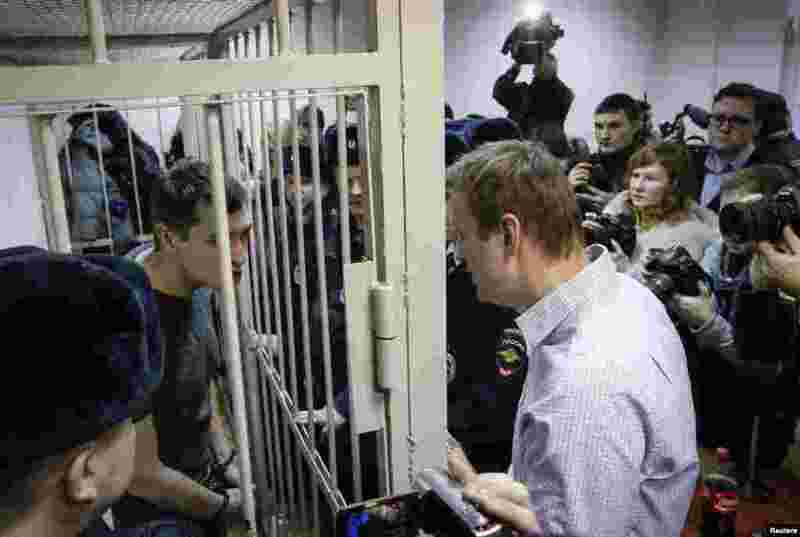 3 Russian opposition leader and anti-corruption blogger Alexei Navalny talks with his brother and co-defendant Oleg during a court hearing in Moscow, Dec. 30, 2014. 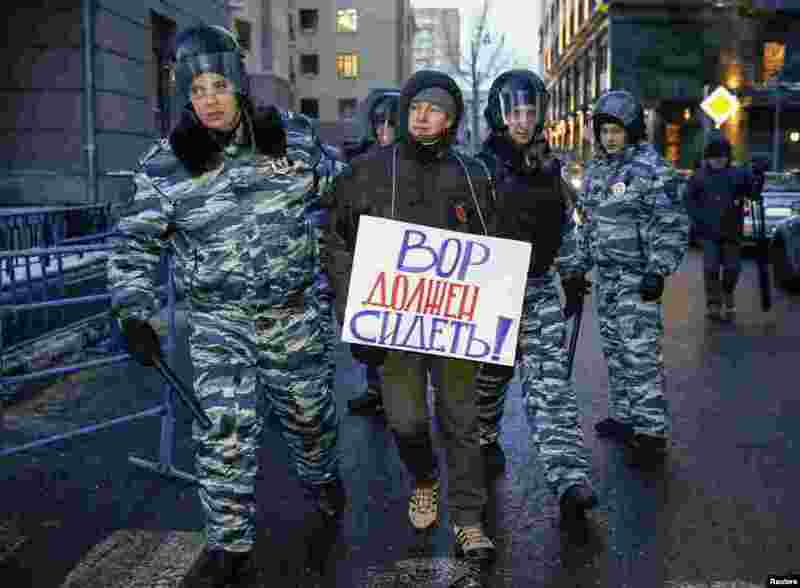 4 Policemen detain a supporter of opposition leader and anti-corruption blogger Alexei Navalny near a court building during his hearing in Moscow, Dec. 30, 2014.